Your wedding is most likely the biggest, craziest, most stressful day of your life. Probably the most expensive too. When the big day finally comes around you’re going to have a whole heap of things to worry about, from keeping costs down to making sure your mad Aunt Marjorie is kept under control – not least whether you’ve made the right choice in partner or not. Gulp! One thing you definitely don’t want to be worrying about is how you look. Now, that’s easier said than done. 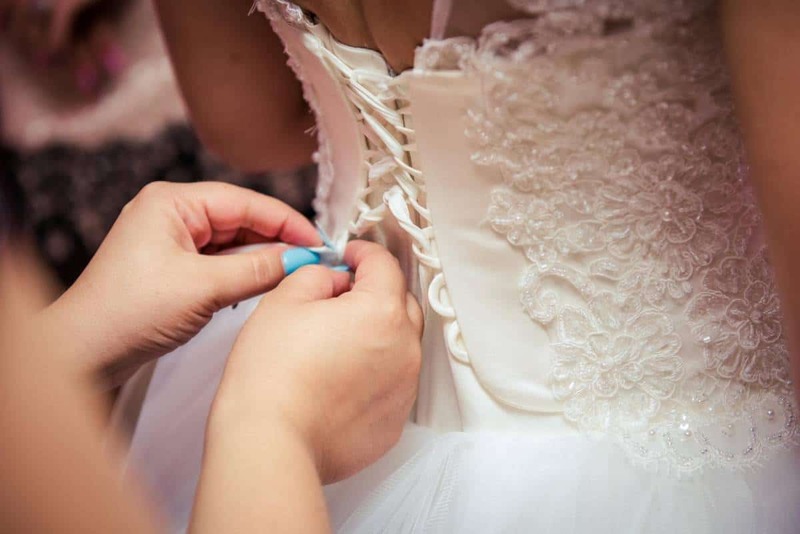 Almost every single bride-to-be, no matter how amazing they may already look to begin with, wants to get as healthy as can be for their big day. Getting healthy for your wedding isn’t really any different than getting fit in general. Eat in moderation and exercise daily. Simple really. Only with your wedding on the horizon there are a few inevitable stresses that might get in your way. Fear not, below are a few helpful tips to keep in mind in the months, weeks and days leading up to your big day. The last thing any bride wants is to look at their wedding video and and see bags under their eyes staring back. Nightmare! Weddings are of course stressful and stress can lead to a lack of sleep. With that in mind you must take extra measures to ensure you get enough of your vitamin Zzzz in the run up to your nuptials. Know this, no one thing is going to keep you healthy both physically and mentally before you big day than getting enough sleep. Plus, the more you sleep the better you will look. It is called getting your beauty sleep after all! There’s a whole heap of minor life hacks you can adopt to improve your odds of getting a good night’s kip. Avoid caffeine after lunch, try and keep to a regular and consistent bedtime, ban screens from your bedroom and have a nice hot bath in the evening to unwind. For more hints and tips on how to get the most out of your bedtime, head on over to the Sleep Advisor blog. Taking dance lessons is an amazing way to kill two birds with one stone. Firstly, dance is an incredibly effective and fun way to burn fat, tone muscle and get you in killer shape for the big day. Secondly, learning a few steps will take the edge of having to get up first in front of the whole wedding party for the hotly anticipated first dance. Ask yourself how many unispring first dances have seen? I’m betting more than you can remember. Oh, ‘Kiss from a Rose’ again is it? Yawn! Instead of boring your guests to tears why not give them something inspirational to follow. With a few months of dance lessons behind you, you and your partner will be able to kick the night off in style with a spicy salsa or a tantalizing tango! Plus all that added rhythm will make your first night together even more unforgettable. If you know what I mean! Ole! You know who else wants to be in good shape for your wedding day? Your bridesmaids that’s who. They also have to stand up in front of everyone and look good in all the wedding photos. Recruit them as a training buddy. Working out with a good friend who is also as invested in the outcome and has the same deadline as you will give you an incredible boost to your motivation. Plus, there is always going to the be the added spice of healthy competition. 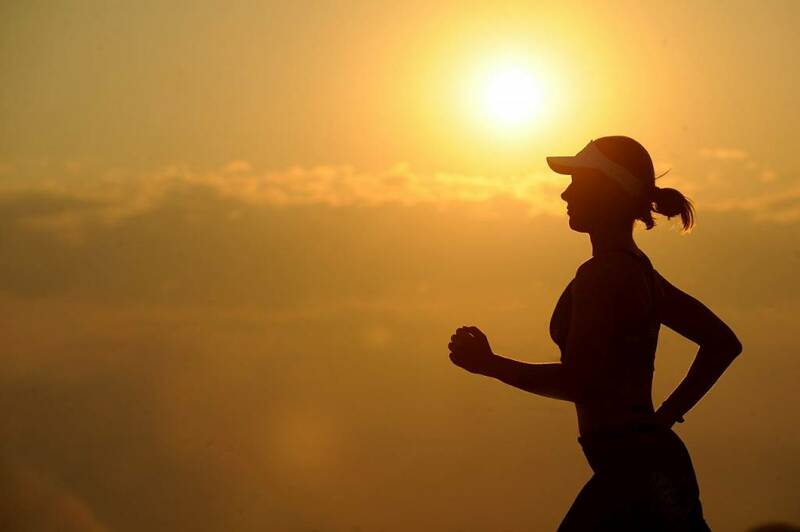 Your ability to get up for those early morning jogs will be given quite a boost by the thought your bridesmaids might end up looking better than you. You can’t let that happen now can you? Lucky, you get to choose their dresses then. Did anyone say lime green? While TV may have conditioned us all to think of a few glasses of wine before bed as the perfect way to unwind. I’ve got news for you. TV lies. Alcohol is a sedative and a muscle relaxant, which is while we feel so chilled after a drink or four. That’s why a drink before bedtime can help you nod off. Being sedated and being asleep are two very different things however. Drink might help us nod off initially it won’t help you get a good night’s rest. Alcohol interferes with the body’s ability to enter ‘slow wave’ sleep. The deep, truly rejuvenating stuff that helps us keep fresh, healthy and looking young. My advice, cut out alcohol in the few weeks before your big day. Save yourself, and your liver, for the reception. As soon as that ring is on the finger, the speeches are over and the grandparents are tucked up in bed – go freaking wild! Well, there you have it – four ways to increase your odds of feeling and looking great when you walk down the aisle. Here’s to fabulous stress free day! Congratulations!